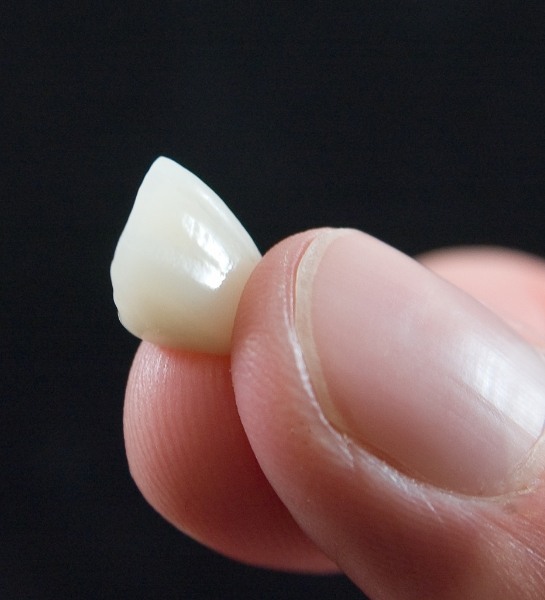 Porcelain veneers are a thin, semi-translucent covering that is permanently bonded to your teeth. 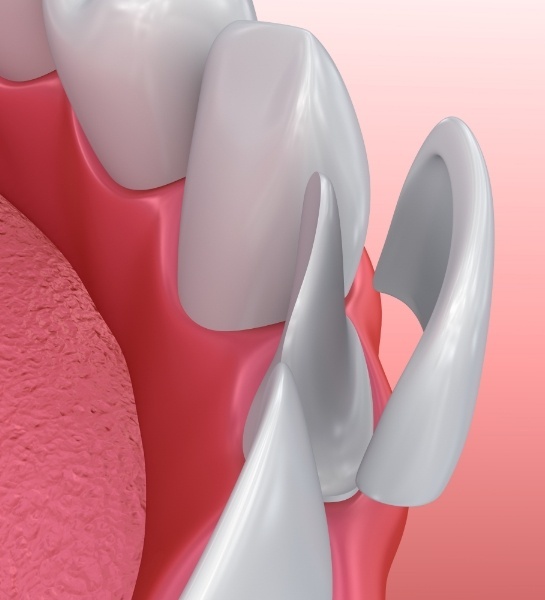 While they’re not suitable for every patient, porcelain veneers are the most aesthetic alternative for a variety of dental conditions involving the front teeth. 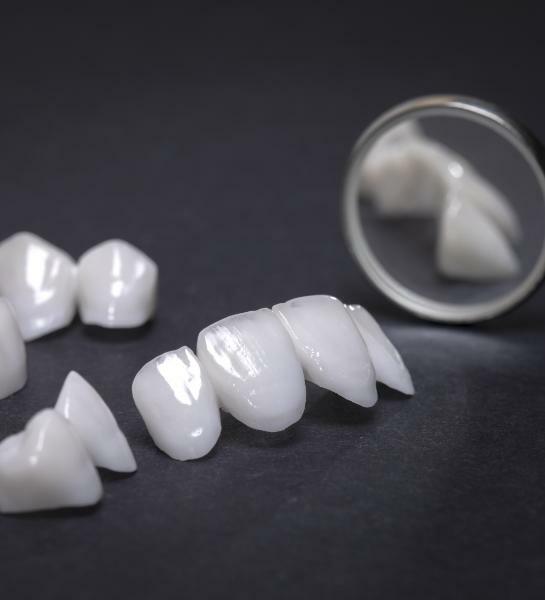 Porcelain veneers can mask undesirable defects, such as teeth stained by tetracycline, ones with noticeable cracks, or those with obvious gaps, and they are ideal for masking discolored fillings in the front teeth. 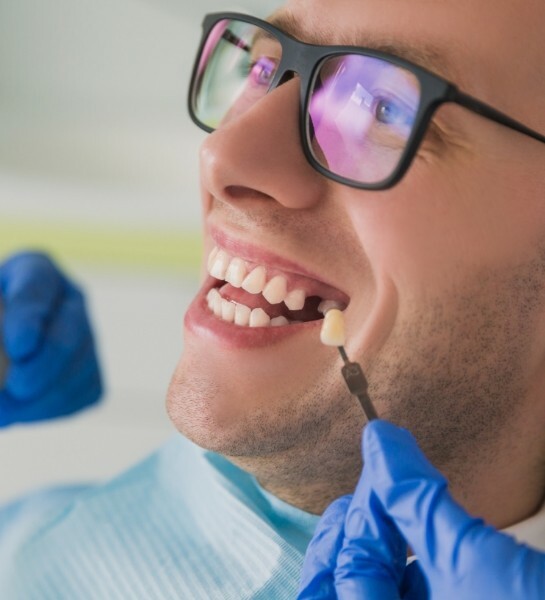 Dr. Jeffrey Skupny offers beautifully crafted and placed porcelain veneers to patients from the Collier County area and throughout Southwest Florida here at Island Coast Dentistry. How are Porcelain Veneers Prepared and Placed? At the first appointment, the teeth are prepared for the dental veneers and an impression is taken. This impression is then sent to a lab where each porcelain veneer is custom made to Dr. Skupny’s specifications. Beautiful temporaries (temporary dental veneers) are fabricated to simulate your new smile, so you can expect to leave the first appointment looking better than when you came in. At the second appointment, your new porcelain veneers are permanently adhered to your teeth. 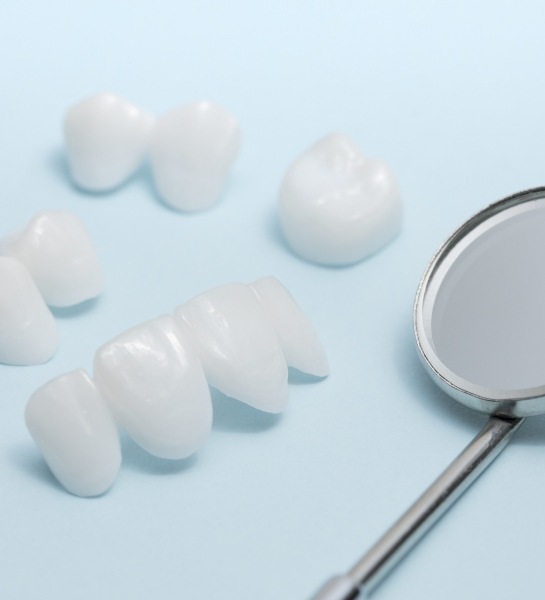 Dental veneers can last indefinitely depending on how well you take care of them. Because porcelain veneers are stronger than simple bonding, they are also more resistant to stains and chipping. Even so, you must maintain regular oral hygiene at home and visit us for routine cleanings and exams. This is to ensure that your new cosmetic veneers will look as good as new. 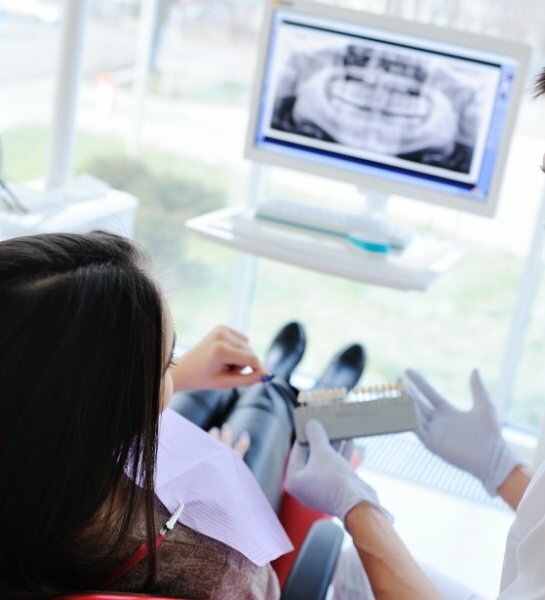 Another important point is that oral habits that damage natural teeth, such as nail biting, opening bobby pins, and chewing on hard objects, can also damage your new dental veneers. Once porcelain veneers are applied, just treat them like natural teeth! Dr. Skupny has extensive experience in designing and placing porcelain veneers. We invite you to come to Island Coast Dentistry to learn more about them and find out if they are right for you.